Hotel chain De Vere Group has outsourced its IT to a private cloud from IT services firm ANS Group, reducing its 18 rack hosted data cente to three, in a bid to cut hosting costs. ANS Group will implement a private cloud to manage and boost the capacity of the De Vere IT systems. 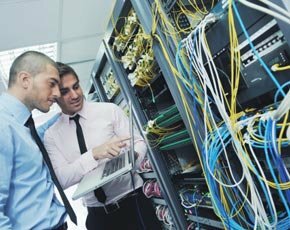 Using Cisco UCS, Nexus switches, NetApp storage and VMware virtualisation, 18 racks stored off-site with Telecity in Manchester will be slashed to three, to support 2500 users. Jo Stanford, group IT Director for De Vere Group, said the cloud based service will create "substantial savings." The move to the cloud meant the Hotel wanted guarantees that data remains in Europe, added Stanford. “[We are] passing on our infrastructure headaches whilst retaining full control and ownership of data”. ANS will build a new Citrix farm to publish the applications to users, and will be responsible for the migration of the current infrastructure onto the new platform. Through the contract, ANS will also provide 24/7 support and security and effectively act as De Vere’s IT department. UCS is the cornerstone of Cisco's datacentre virtualisation product family, built on high speed networking components and x86-based servers. Other customers include BMW, which is using Cisco technology to migrate its datacentre to a private cloud.